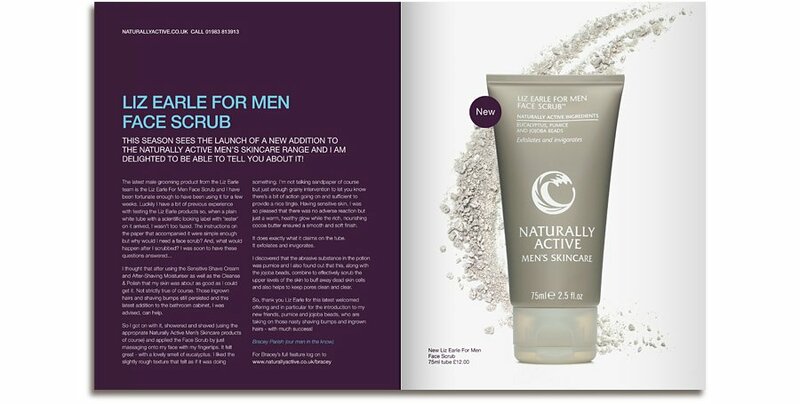 The look and feel of the men’s skincare for Liz Earle needed to have a much more rugged feel to the women’s skincare range. 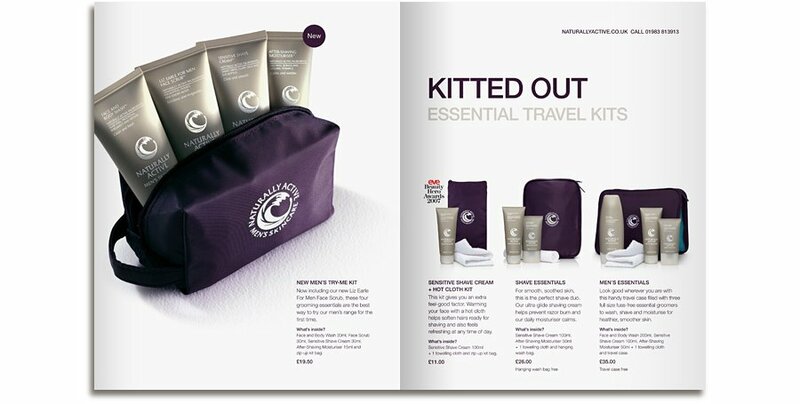 Inserted into each edition of Liz Earle’s main customer newsletter was a smaller brochure containing the men’s product range. In this edition we used the photographic skills of local photographer Jason Swain to produce this beautiful shot of a surfer at Freshwater Bay on the Isle of Wight. 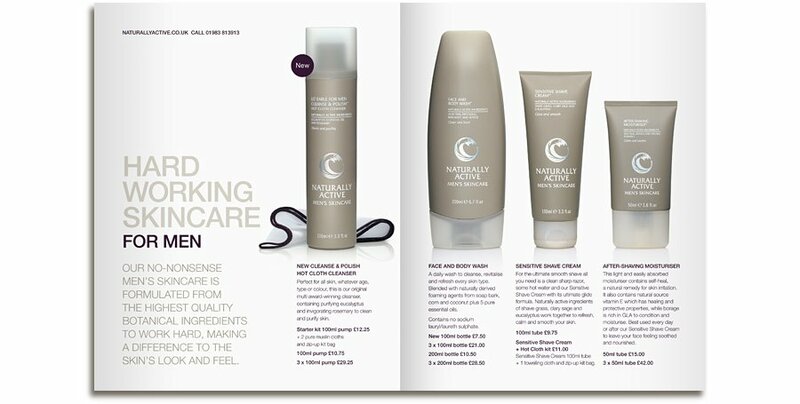 The brochure utilised simple neutral tones and was printed on a nice heavy uncoated paper stock to give a bit of texture. Each edition required design and artwork plus photographic art direction and retouching.